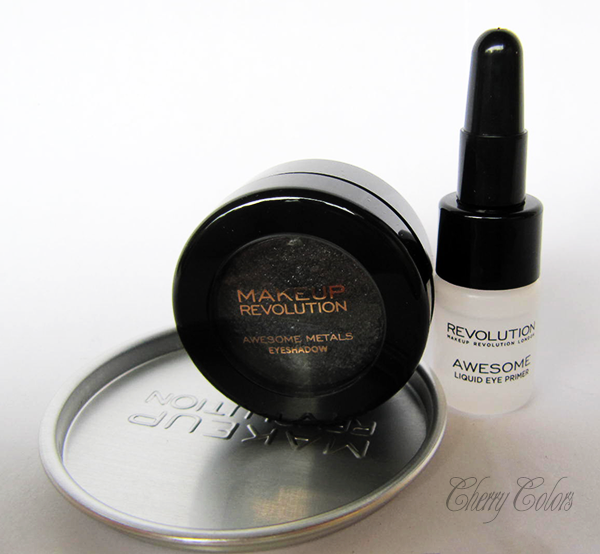 Review: Makeup Revolution part 2 - Cherry Colors - Cosmetics Heaven! This was my second package from Ličila.si. You can read about the first one here. Beware, this is a very picture heavy post. These are all the goodies I received. 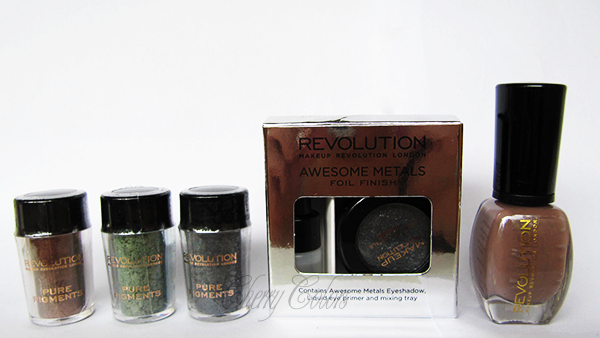 Three mineral pigments, one foil finish eyeshadow and a nail polish. The eyeshadow comes in a little pretty box that contains one eyeshadow (that feels creamy/oily to the touch), an eye primer and a metal pan. 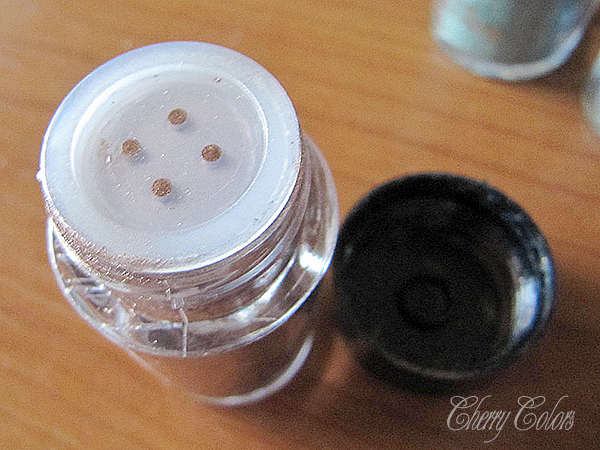 The metal pan is very useful for mixing pigments, but sadly it is a PITA to clean! 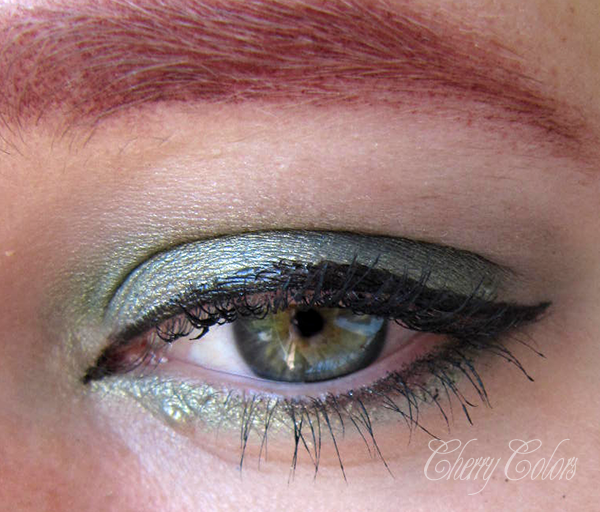 One eyeshadow didn't want to budge when I tried cleaning it off (not the eye foil one, a different mineral eyeshadow). It needed some vigorous scrubbing to get it all off. 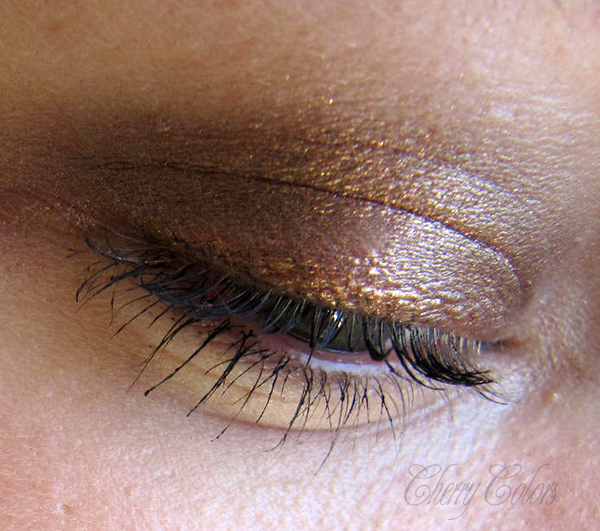 I have hooded eyelids, which means most of the eyeshadows get in the crease. If not right away, they do get at the end of the night. 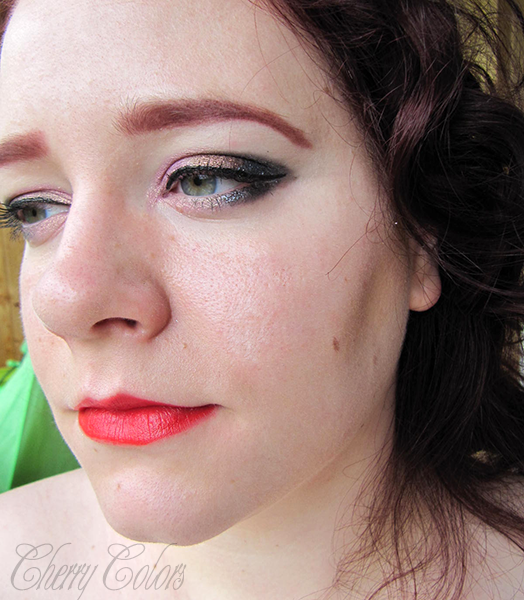 It is very rare for me not to get eyeshadow in the crease (especially during Summer days). 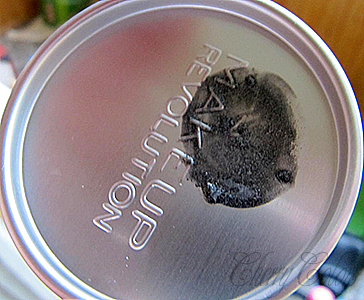 It is annoying and sometimes even a good primer doesn't help with it. The foil was easy to mix and apply and it stayed on for the whole day. I found it incredible, because of the reasons stated above. 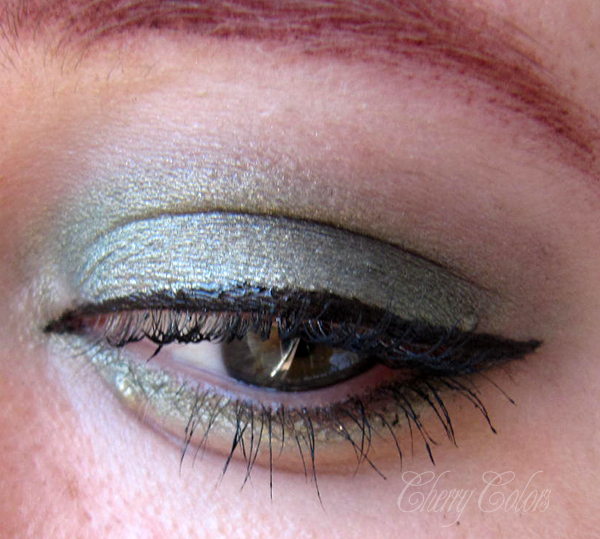 I wore it on its own and mixed in a look with some other eyeshadows. I loved it the most on its own! 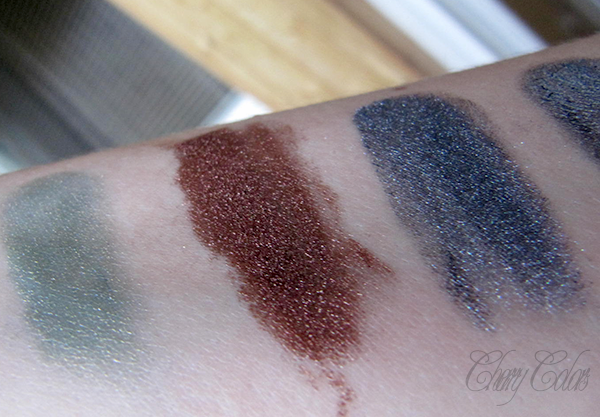 I thought the texture of the eyeshadow alone was funky, curious at least. It is oily and transfers nicely. But with the primer, it becomes a great combination that just stays on for the whole day. I only wish the primer it came with would be bigger since it is amazing and you get to use a lot of it. 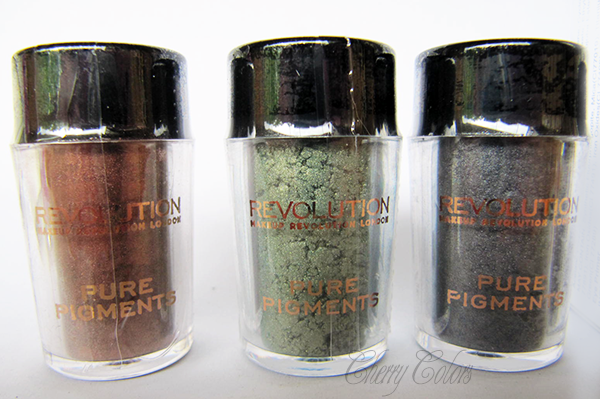 I got three; A green with a golden gue - Rivarly, a bronze with red sparkles - Grandeour and a blue based gray - Flighty. 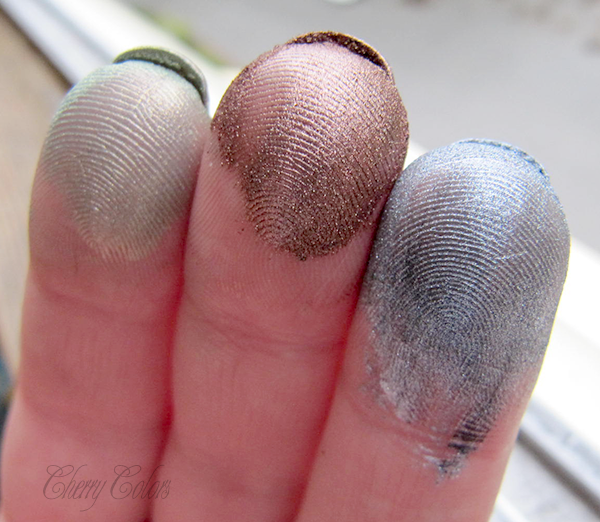 The pigments looked incredibly pigmented when swatched with my fingers. 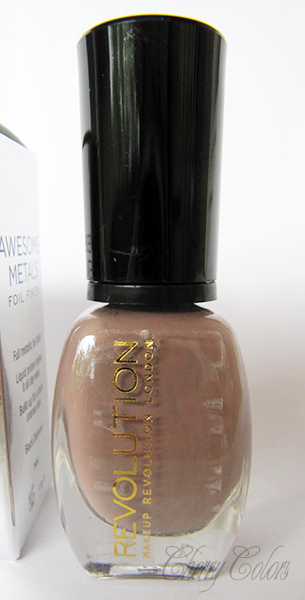 Another swatch, this time, swyped with my fingers on my skin. The last one is the foil eyeshadow. 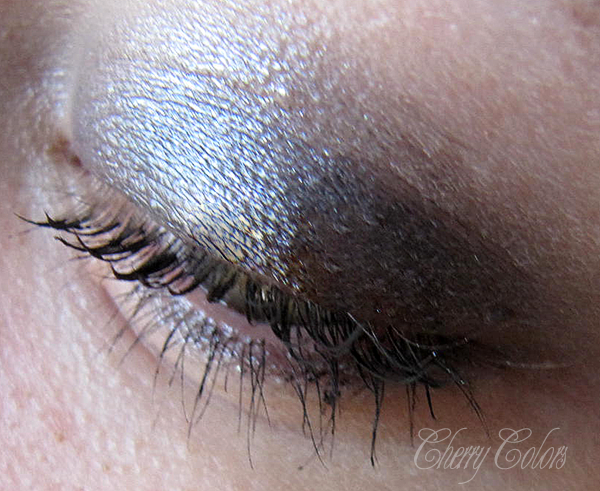 I decided to show you how they look alone on my eyelid (with added black eyeliner and mascara). I like this eyeshadow a lot. It looks amazing with my green eyes, especially the golden hue to it. It didn't want to stay on my hooded eyelids for too long and thus I will be using it mostly as a highlighting eyeshadow (for makeup looks). If I am not mistaken it stayed on my eyelids for about 3 hours before getting in my crease (I used my regular eye primer - Too faced eyeshadow insurance). I had absolutely no problem with the application or texture. 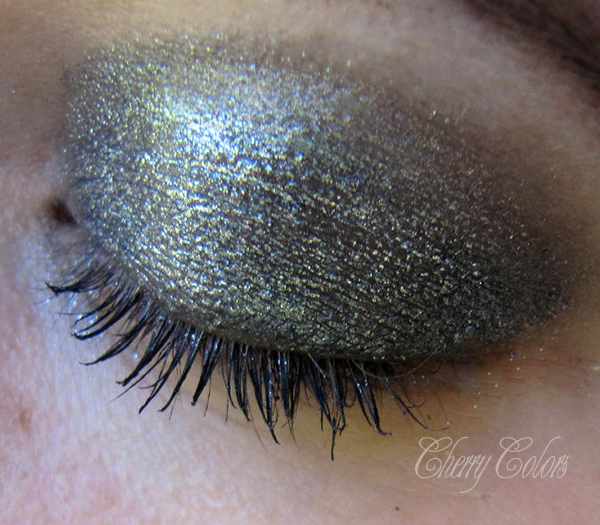 I thought it looks similar to the foil eyeshadow (on eyelids), and I was right. Except that one looks shinier. It didn't last on my eyelids for more than two hours, which made me a sad panda. 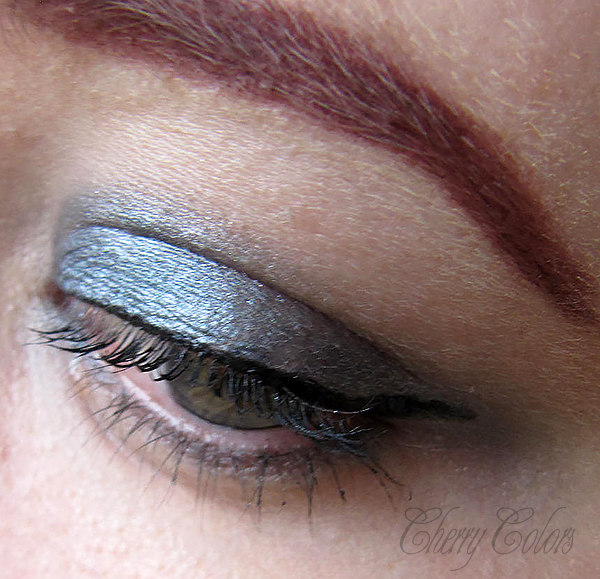 It is wonderful as a crease color. Again no problems with the texture or application. It went on smoothly. 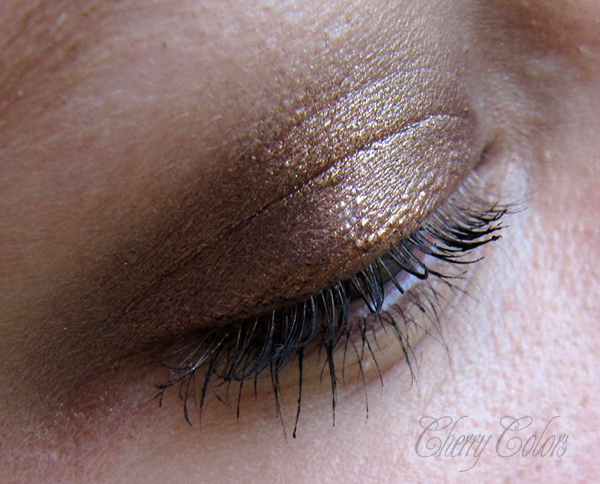 This has to be my favorite eyeshadow from the bunch. It is very wearable on its own and I was able to wear it for the whole day without creasing. It goes on smoothly and without a problem. I was really happy when I realized that. 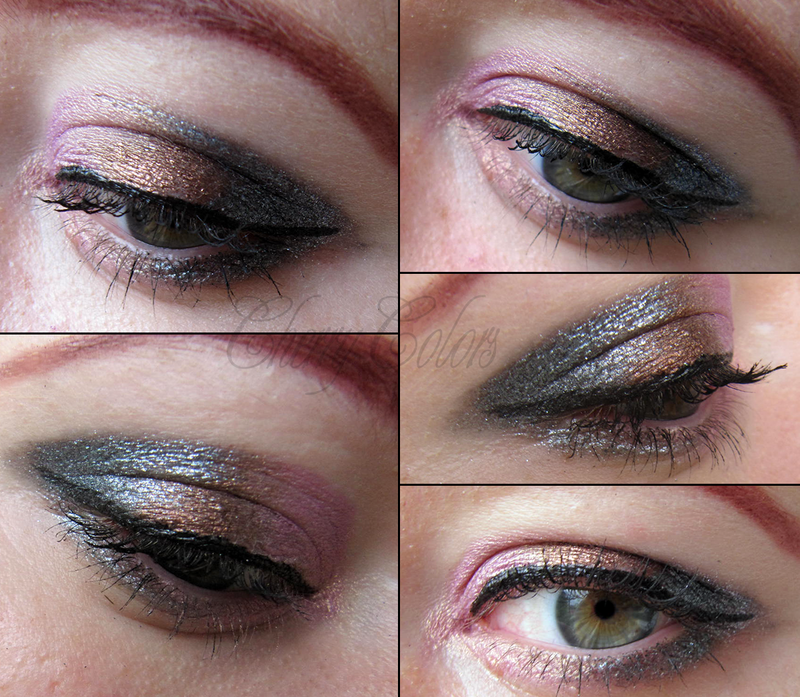 I made a look three of the eyeshadows (all except the green one) + a pink Kiko eyeshadow. 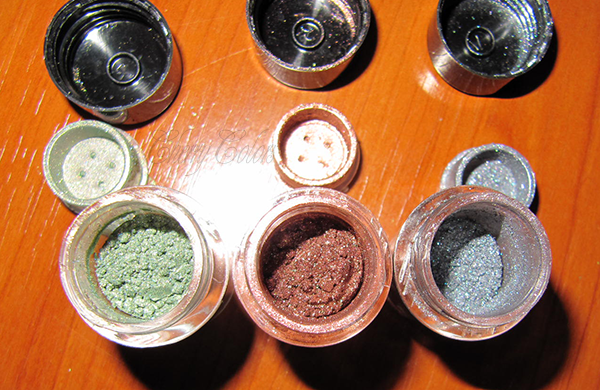 I am very pleased with the mineral pigments and with the foil eyeshadow. I see myself using the Grandeour pigment a lot in my future daily looks. 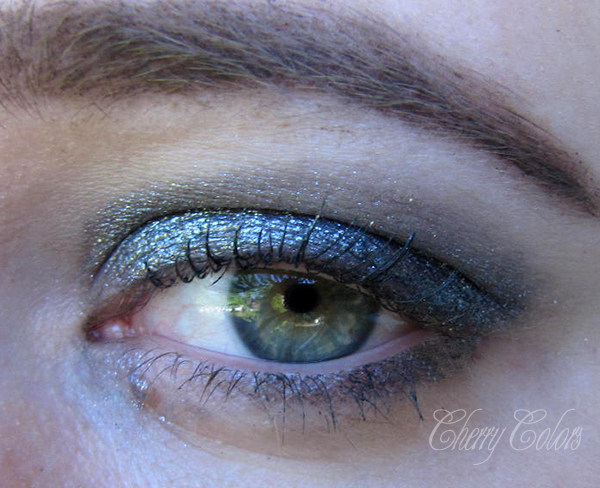 I think the foil pigment will be awesome for night looks too. 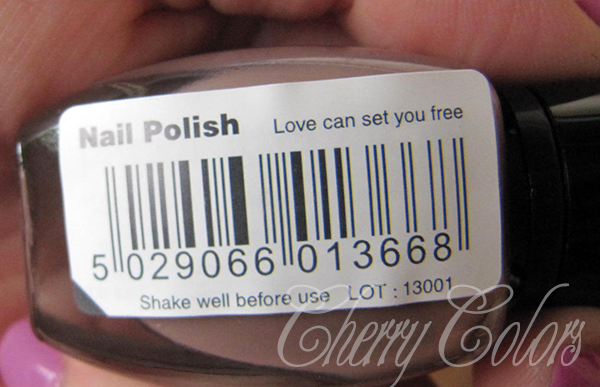 And for last is here the nail polish. I posted more pictures about it, here. Dries quickly, so you have to work fast with it. Other than that I had no problem with the application. Needs two layers for full opacity. Overall I am very pleased with my gift and I am impressed with the quality versus the price of the Makeup Revolution products.